If you were an avid concertgoer in the 1980s, you might have a nagging feeling of having seen Graham Garrett’s face before. In fact, he manned the drums for bands like the YA YA and Dumb Blondes. 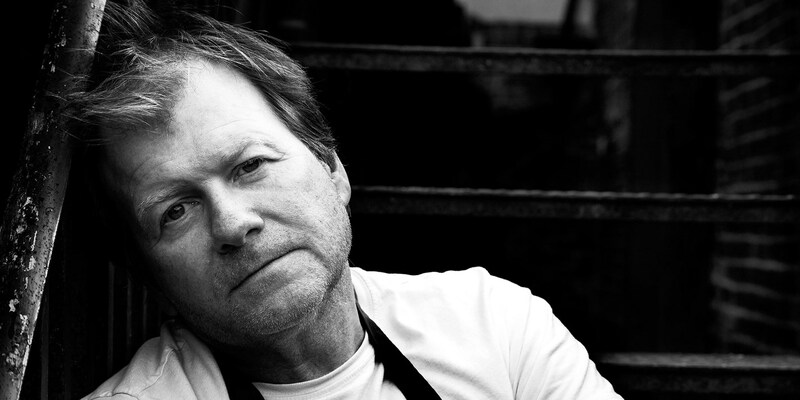 Now a highly respected chef, Graham Garrett's bold, rustic food still shows signs of his rock 'n' roll nature. When he was thirty-one, Graham Garrett hung up his sticks and took up the chef’s knife. Straight away, he started working with chefs like Nico Ladenis (which is the culinary equivalent of going from practising in the parents’ garage to playing arenas with Mick Jagger), and Graham rose to the occasion, even cooking for the Queen and at 10 Downing Street. 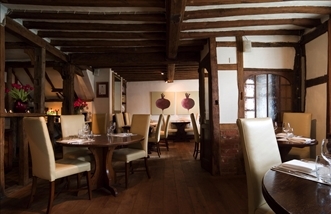 After he hung a shingle in front of his own Biddenden restaurant The West House in 2002, it took Garrett just two years to win a Michelin star, which he’s maintained ever since. He can now lay claim to a star from Egon Ronay, the highest possible rating from Harden’s for its food, and was a finalist for the title of Harpers and Queen’s Best Restaurant Outside London. Garrett’s taste for savoury umami flavours means plenty of fish, rustic pork cuts and substantial game and fowl dishes. He also puts as much care into his desserts as the rest of his meals, and they often include unexpected touches – such as an almond cake soaked in Sauternes and peaches and cream made with vanilla mascarpone, or Treacle tart with tangy blood orange. Hearty classic dishes are given cheffy touches without losing sight of the original rustic charm, such as Pressed apple with cobnut crumble, or his famous Sausage roll with foie gras. The Good Food Guide said ‘the results are crisp, clear-flavoured and refreshingly free of flimflam', while Graham identifies his cooking as ‘ruthlessly seasonal’. His menus are unusually consistent in reflecting the freshest possible ingredients, and the kitchen staff pride themselves on adapting expertly to the needs of each individual diner. Graham Garrett appeared on Great British Menu in 2012, losing out to Phil Howard for the chance of representing the South East. Graham didn't turn to professional cooking until he was thirty-one, but has since cooked at Number 10 Downing Street and Buckingham Palace. 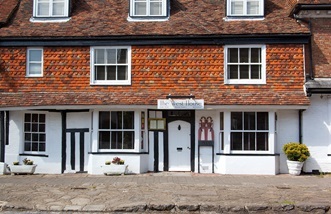 Graham bought The West House in 2002, and has held a Michelin star there since 2004. Alan Parris and Billy Byles from Aylesford pottery were commissioned by Graham to create bespoke tableware for his restaurant.